Many marketers in the social media industry don’t realize the value of sharing on social media. Sharing is a powerful tool that impacts your business growth in more ways than you know. The biggest question among us marketers is, how do we truly attract and effectively engage our audiences? You’ve got the content, you’ve got the consistency and you’ve got the aesthetic, but what’s missing? A large percentage of social media users in any age range have one thing in common: they LOVE seeing posts that are relatable, informative and entertaining. Whether it’s a quote or phrase, an easy exercise tip, or a DIY project tip, each consumer in each industry desire posts that are relatable. If our consumers share, why can’t professional businesses do the same? Sharing can help a business appear PERSONABLE to the public. Not only does that make you seem relatable to your audience, but it makes you genuine and honest! Sharing on social media is huge. 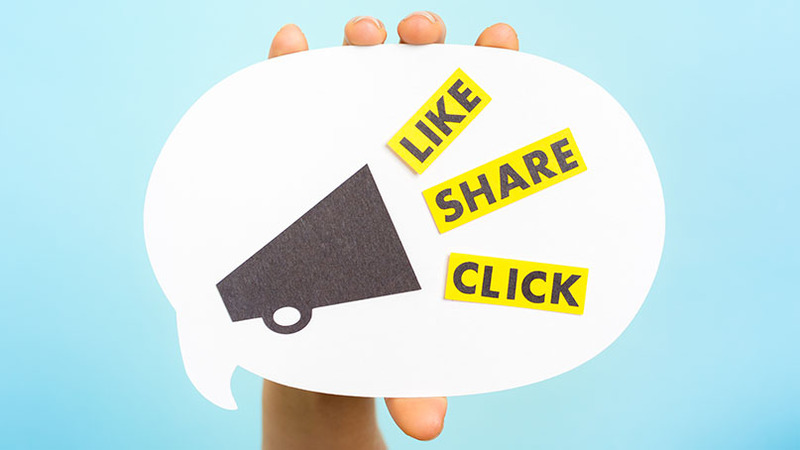 When people share your posts, not only is your post getting more engagement and reach but so is your page as most people will click to view the rest of your content. As a business, often times the goal is to get others to share our posts, however, we should also be sharing posts we see. This is key when showcasing that your social media is active more than just scheduling posts through a third-party program. People can always tell when comments are actually made by bots, activity is minimal and if you are actually “active” on social media. Studies show that many people get intrigued to look at shared posts when they come from people they know and trust. This shows the information provided is accurate and something worth clicking on. What do you share on Social Media? First and foremost, always remember to share your published content in every way, shape or form. The goal is to get as much traffic to your website as possible. An easy way to do this is by sharing your website blogs. Publishing blog content is a very effective way to increase traffic onto your web page in terms of Google SEO. However, don’t stop there! Widen your reach by sharing those blogs on platforms such as Pinterest, Facebook, Twitter Reddit and more. Active social media users consistently seek for blogs and content that will only reassure your audience that you are publishing relevant information on your website. Don’t have time to manage social media AND publish relevant content? Luckily, we do! We do it all – from scheduling, designing, engaging and managing Google SEO with blog content! Blog content is one of the most useful links to share on your social media because it is the quickest way to drive traffic to your website from other social media platforms. Share new and trending information in your industry to show that you are well-read and relevant to the news. Every industry evolves, keeping up with it is the challenge. In social media, there are countless amounts of applications, features, and tools that release every single day. Whether you are looking for useful social media planning applications or photo editing apps, there are hundreds of apps that are useful for each social platform. Sharing these tools and resources with your audience allows them to believe you are an expert at being knowledgeable in the industry. You gain a better reputation for your business by sharing relevant and useful information to others. Love them or hate them, humorous content is a MUST in social media! To break apart all the professionalism, finding humor posts to share truly lightens up your feed. Your audience enjoys a little humor here and there. Have a little fun, laugh a little and share your positivity with your audience! These types of posts are likely to show the most increase in engagement, shares and overall traffic to your social media. Everyone loves a little bit of inspiring and motivational content in their day. Sharing inspirational content is a great social media content strategy! Many people desire content that makes them laugh and feel inspired in some way, in other words, content that makes them feel good. Among your social media strategy, the inspiring content shows the kind of atmosphere you have, whether you foster positive relationships in your business and in your life. Not every quote or inspirational content you share needs to have your website address. Sometimes adding that can devalue the post itself. These posts are merely to create emotional reactions from your audiences and leave a lasting impression on your audience about your brand. Social media is the best way to reach the right people in your industry, however, it takes plenty of time, thought and planning. As you plan your social media content and strategies, never overlook the importance of social media engagement. Engagement comes from many things but sharing plays a large role and should always be utilized. If social engagement isn’t part of your everyday social media routine, it’s time to add it! As a social media marketing agency, we can attest to these strategies as apply them into our daily routines. Often times, we come across those who have never heard the importance of engagement and what that really entails. It can be a daunting and tedious task. We understand social media very well and are always on top of this in your social media strategy! Visit our packages on our website for a breakdown of what we offer for you!